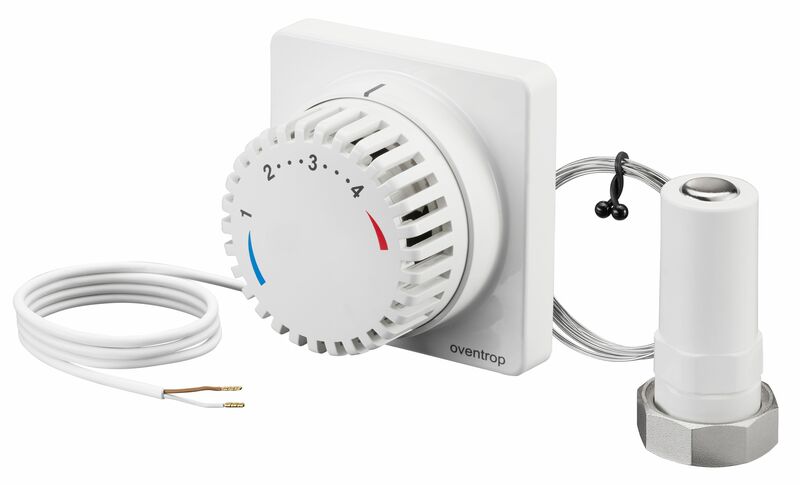 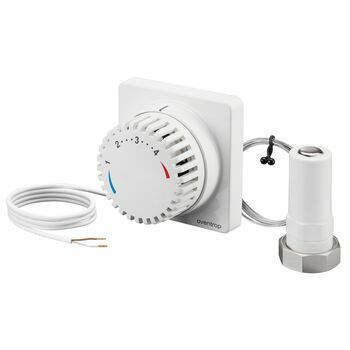 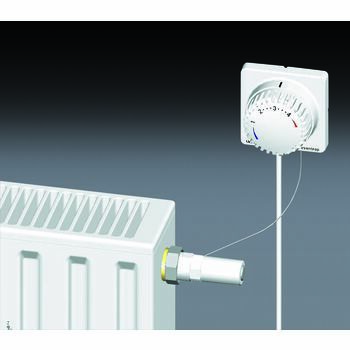 Thermostat with remote control "Uni FHZ"
In combination with the control unit DDC "CR-BS", the thermostat "Uni FHZ" allows for a timed temperature setback with the help of an integrated electrically heated liquid sensor. 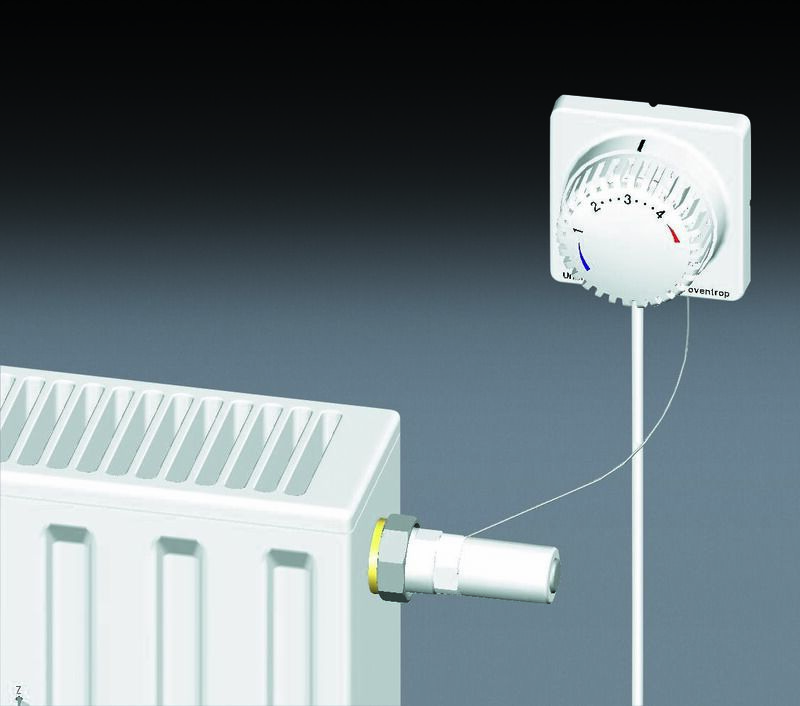 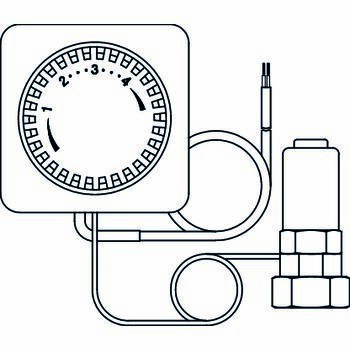 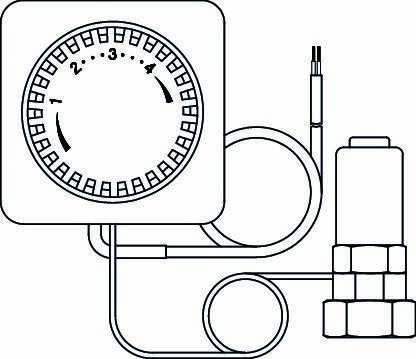 The operation is identical with that of a standard thermostat. 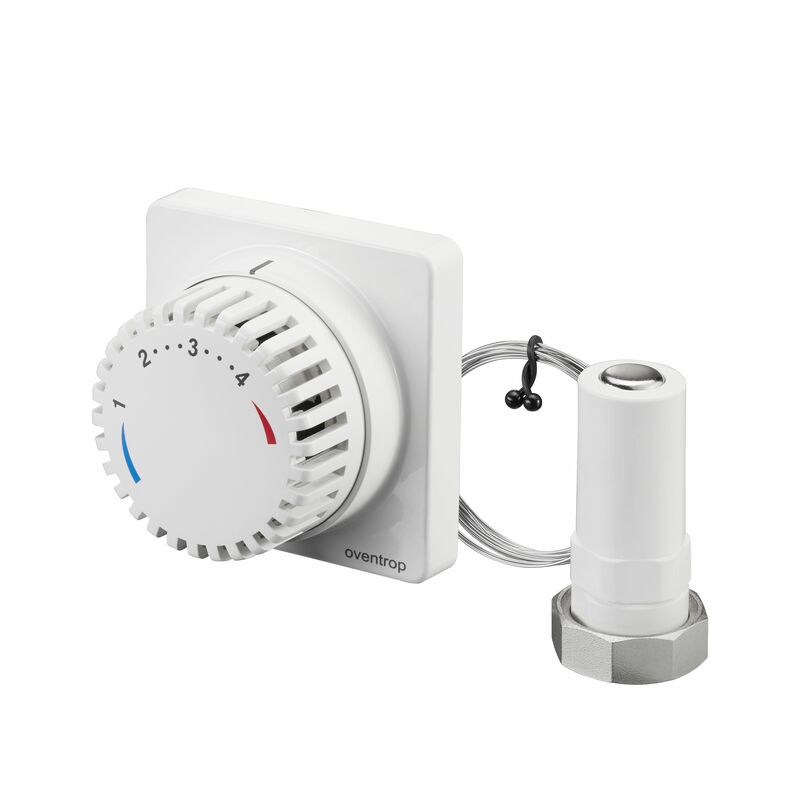 If the thermostat is engergized with a voltage of 24 V, it switches to temperature setback.The thermostat "Uni FHZ" can be activated via the control unit DDC "CR-BS" and the room modules via LAN networks or the Internet.